How do you know if love is real or just an illusion? When Mel Snow meets the talented magician Toby Warring in a dusty roadside bar, she is instantly drawn to the brilliant performer whose hands can effortlessly pull stray saltshakers and poker chips from thin air and conjure castles out of the desert sands. Just two days later they are married, beginning their life together in the shadow of Las Vegas, where Toby hopes to make it big. Mel knows that magicians are a dime a dozen, but Toby is different-'his magic is real.As Toby's renown grows and Mel falls more and more in love with his wonderments, she starts to realize that Toby's powers are as unstable as they are dazzling. She learns that he once made his assistant disappear completely, and couldn't bring her back. And then, just as Mel becomes convinced that his magic is dangerous, a trick goes terribly awry during his Strip debut. Exiled from the stage, Mel and Toby flee the lights of Las Vegas for the streets of Amsterdam where a cabal of old-time magicians, real magicians like Toby, try to rescue him from his despair. But he's haunted by the trick that failed, and obsessed with using his powers to right his mistakes, leaving Mel to wonder if the love they share is genuine or merely a fantasy, conjured up by a lost magician looking to save himself from being alone. Ivy Pochoda's spellbinding and cinematic storytelling seamlessly fuses timeless magic to modern-day passion. 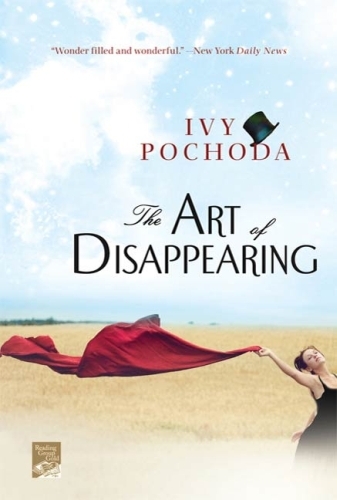 Haunting and beautiful, The Art of Disappearing is an imaginative and captivating love story destined to enchant readers for years to come.